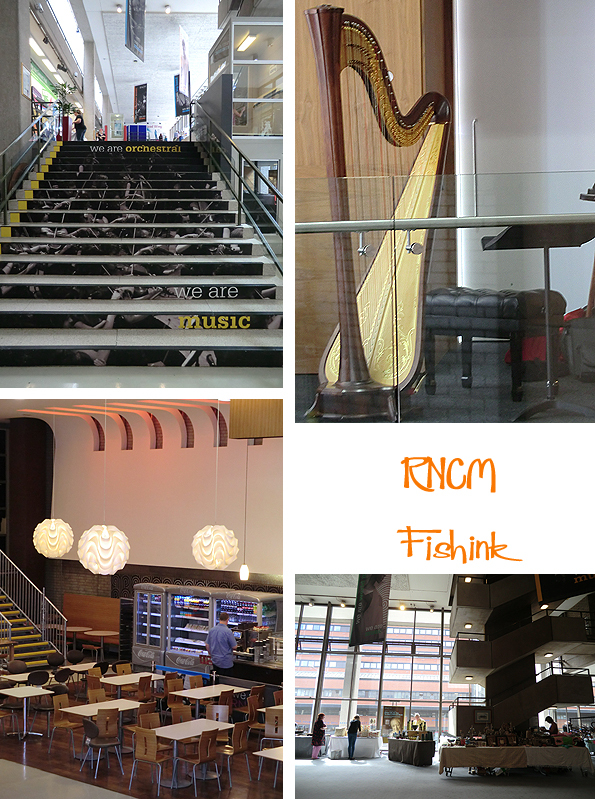 Yesterday I spent a cultured day at a craft event organised at the Royal Northern College of Music on Oxford road, Manchester. 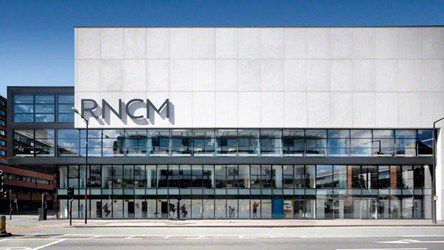 It’s a fantastic building and wonderful venue for the event. Entertained by a very talented harpist for a couple of hours was a rare treat too. 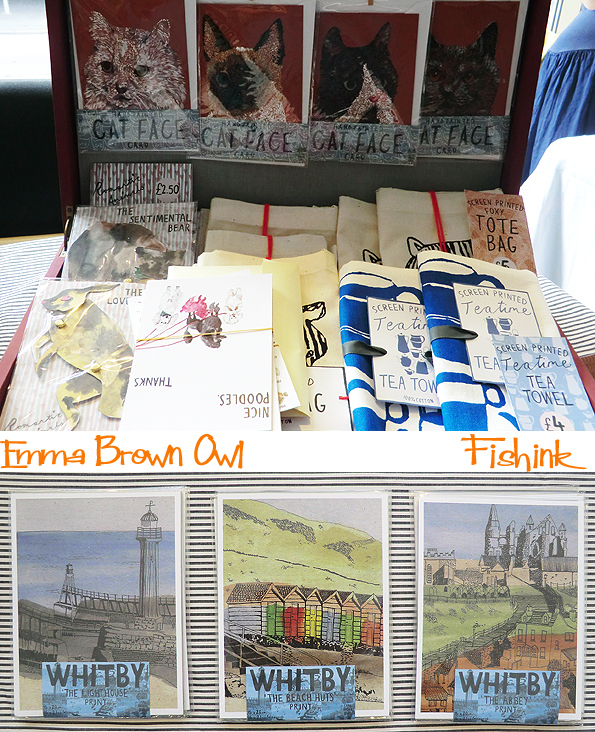 Here was my stand, you can find more of my stationery range on my Fishink site. 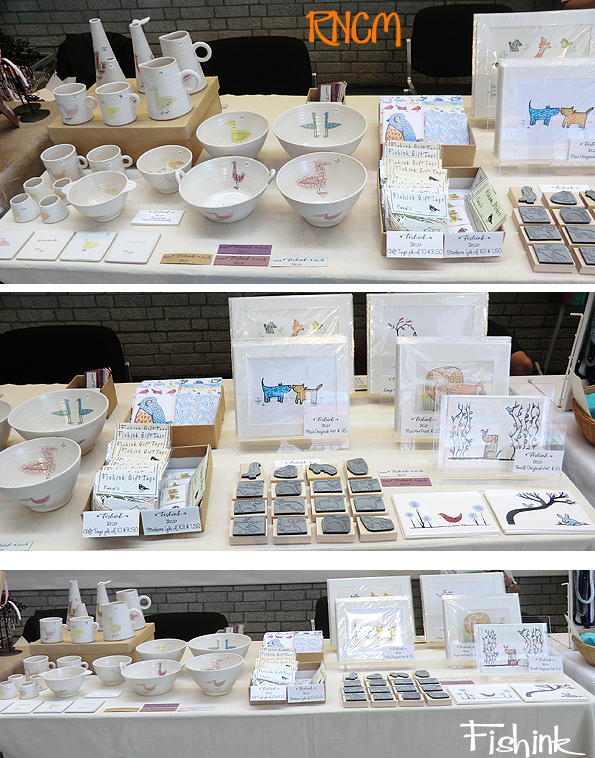 I chatted to quite a few of the other designer makers and of course took a few images to share with you too. Ian Nash, had a lovely collection of Ceramic forms. 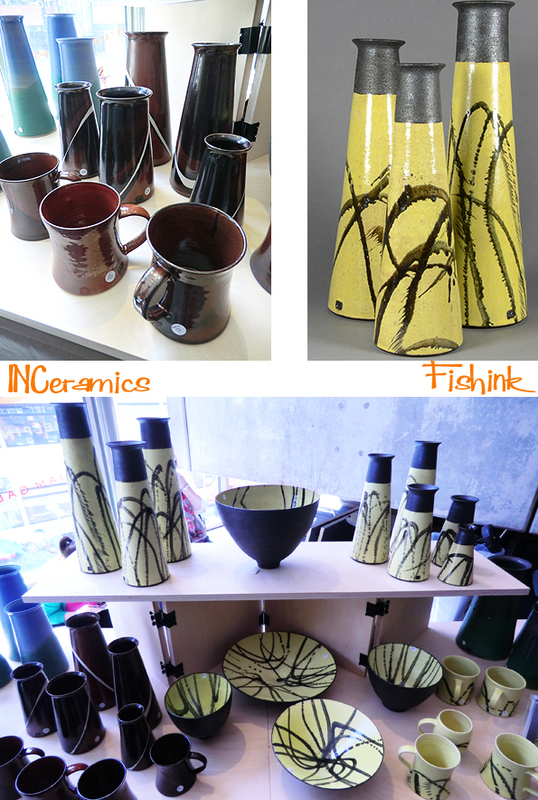 His company INCeramics is based near to Warrington and with his black and yellow range, where I saw a slight touch of the 1950’s. 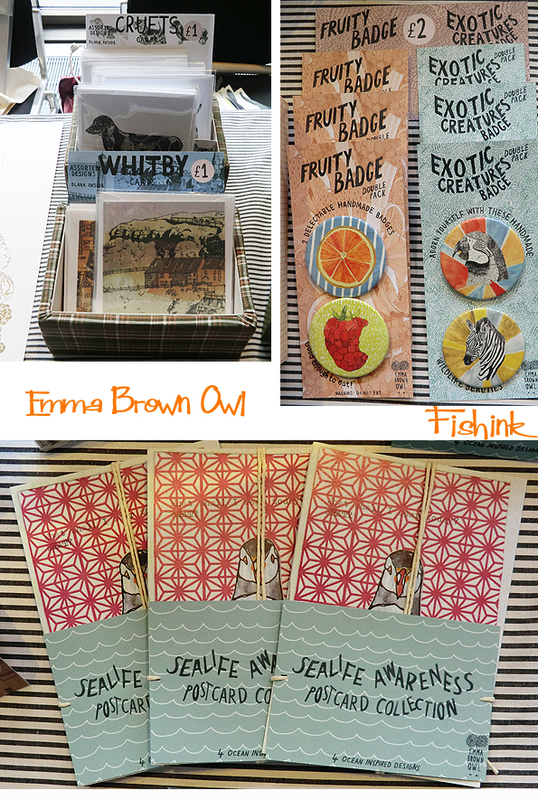 Emma Brown Owl who graduated from Manchester School of Art in 2010, had put together a charming collection of contemporary seaside ephemera. 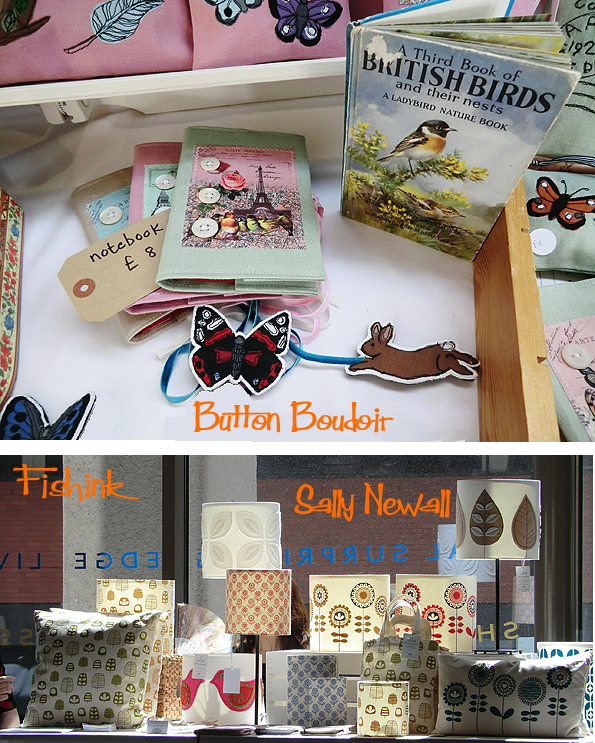 Birds, badges and Whitby featured in illustrative abundance. The stand looked great and the stripy cloth somehow gave it even more of a beach / coastal feel. 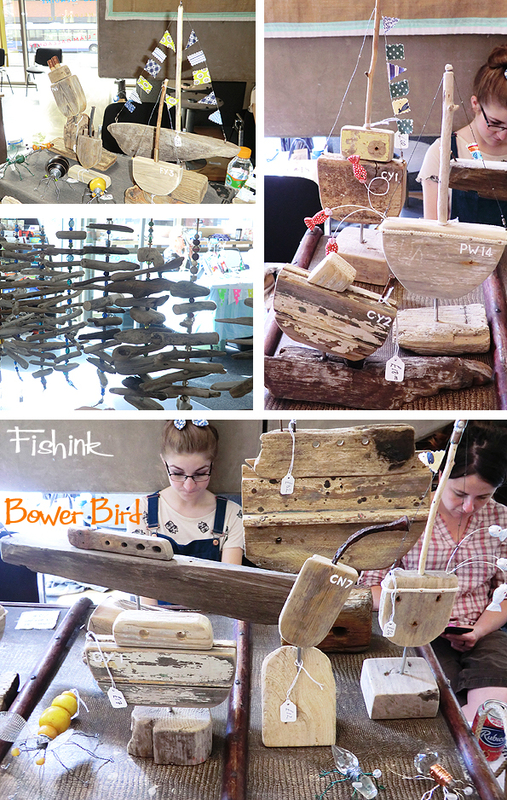 Sally from Bower Bird had a great double-length stall, full of sanded and treated driftwood sculptures. 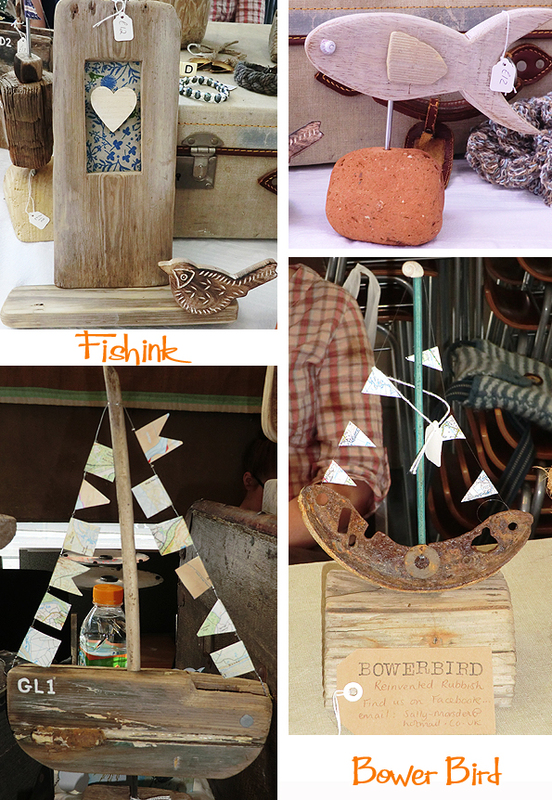 Boats, birds and other animals formed a visual treat for the lover of natural woods and pieces with a nautical feel. For more info and commissions you can contact Sally-marsden@hotmail.co.uk. These driftwood boats looked even more impressive when all together. One of the most impressive and well considered stands was that of Jill McCarthy and her Button Boudoir display. 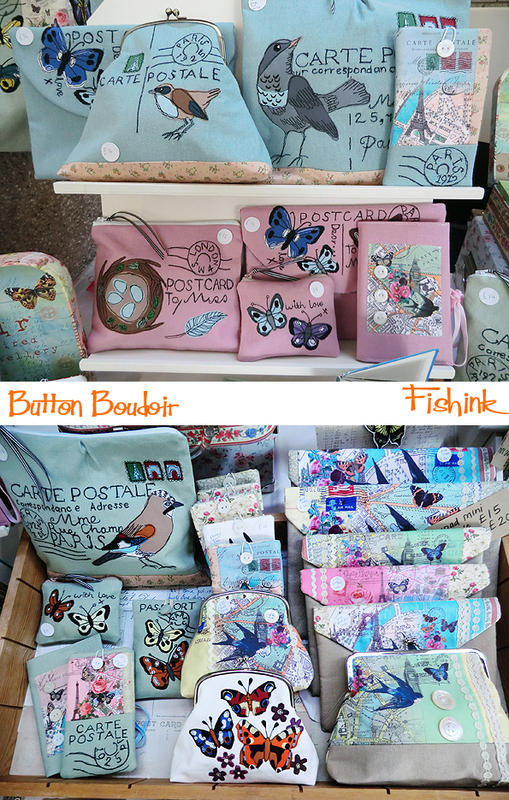 Inspired by old nature Observer and Ladybird Books, Jill had put together a wonderful array of bird and butterfly inspired items that followed a well considered palette from that era. They looked great all together and Jill had a 50’s style bird print skirt which completed the picture so well. Also fab to see Sally Newall and her beautiful range of lampshades and hand printed notebooks again, we last met at the LNCCF back in April. Sadly a quiet day for customers and takings alike but the cheery other designers and general setting and ambiance certainly helped. 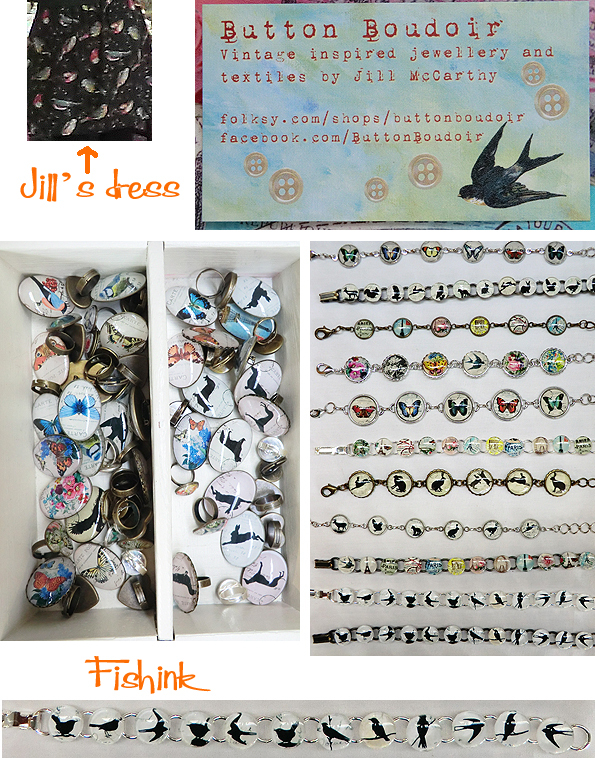 Jill’s jewelry and Sally’s work are my favorites. Thank you for taking the time to get all these shots of other’s work. I remember you said you might not be able to get away from your table… Sorry there weren’t more customers, I know it’s quite the undertaking to haul all of one’s work somewhere, set it up and then sit and wait. But we got to see it, didn’t we! Thanks, yes disappointing in terms of sales and customers but that was across the exhibitors, so I couldn’t take it personally lol There must have been about 40 people that came in all day ! Lovely work tho.